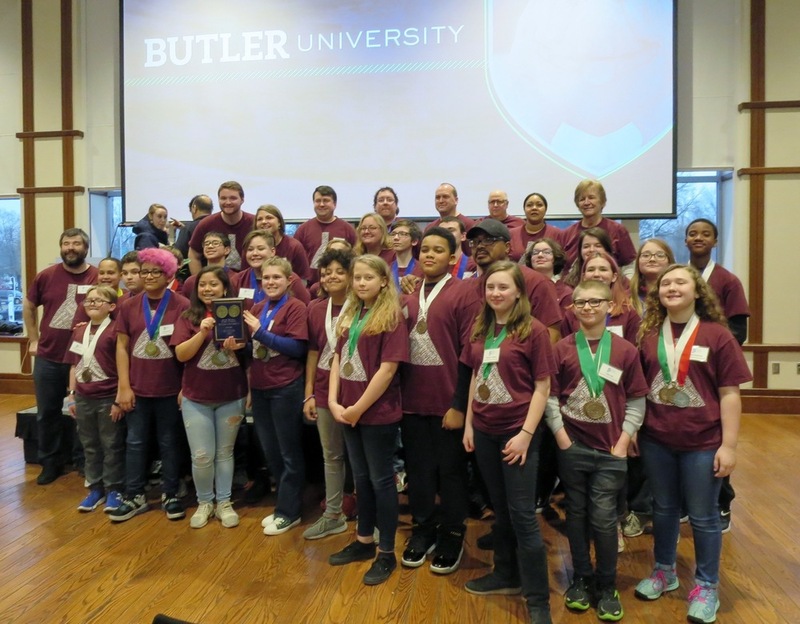 Congratulations to the Raymond Park Middle School Science Olympiad Team for winning their regional competition on Saturday, February 23rd held at Butler University. The team placed 1st and 3rd place in Dynamic Planet, 1st place in Water Quality, 3rd and 5th place in Thermodynamics, 3rd place in Solar System, 1st and 3rd place in Roller Coaster, 1st place in Road Scholar, 1st place in Potions and Poisons, 1st place in Mystery Architecture, 1st and 5th place in Meteorology, 1st and 2nd place in Herpetology, 1st place in Heredity, 2nd and 3rd place in Game On, 1st and 2nd place in Fossils, 1st and 3rd place in Experimental Design, 2nd place in Elastic Launched Glider, 1st and 5th place in Disease Detectives, 5th place in Density Lab, 1st place in Crime Busters, 1st place in Circuit Lab, 1st and 2nd place in Boomilever, and 4th and 5th place in Battery Buggy. Special thanks to the coaches and parents who support the team. Good luck at State!